Sri Ramaswamy Memorial Institute of Science and Technology (SRM University) is a deemed university. 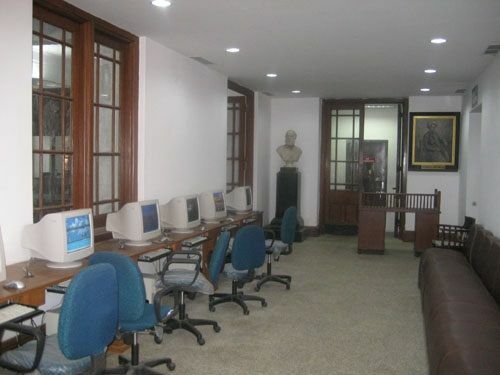 It is located in Chennai but has 8 campuses across country – Vadapalani, Ramapuram, NCR Sonepat, Gangtok, and Amravati. 4 of these are in Tamil Nadu. It is promoted by SRM trust. 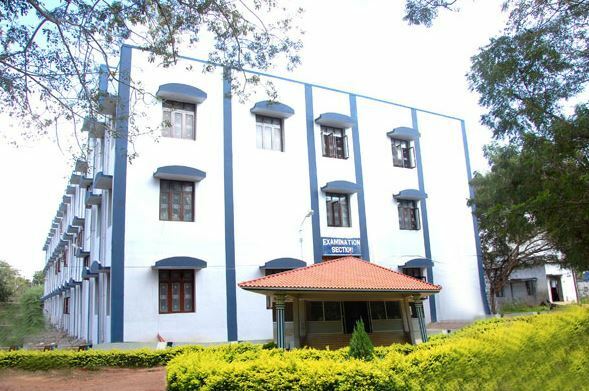 The university started as SRM Engineering College in 1985 and later was renamed as SRM Institute of Science and Technology before becoming a university in 2006. It has over 38000 students studying on its campus. The university conducts two exams – SRMJEEE and SRMJEEE-M for admission into its engineering and management programs respectively. 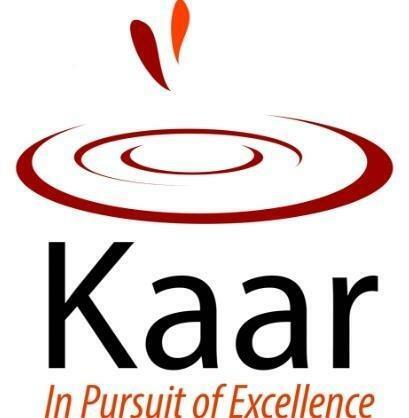 It has A grade from NAAC and its courses are approved by UGC. In NIRF 2017 ranking, it was ranked at 35th position and Outlook India ranked it at 27th position. QS World University Rankings ranked it in 351-400 range in 2018. It has foreign tie-ups with universities like University of Georgia Athens, llinois Institute of Technology, Chicago, University of California, Davis, University of Warwick, UK and others. The DD should be drawn in favor of SRMIST, payable at Chennai. The candidates need to write their name and address on the back side of the DD. Before submitting the application form they need to upload the required documents such as scanned copies of Class X and class XII marksheets, recent photographs and signature etc. All images should be in JPG/JEPG/PNG format and mark sheets should be PDF format. For form fill up, at first, they need to register themselves by visiting the website. Then they need to enter personal and communication details. After that email verification is done, they need to fill and submit the form and pay the fee. The candidates need to download the Admit Card from the official website. The admission into most of the UG courses offered by the university is based on merit. There 14 blocks allotted for mens hostels which can accommodate up to 7000 students. There are women students with the intake capacity of over 4000 students. Student have the option of choosing A.C/non A/C rooms in triple or double occupancy basis. Hostels have laundry service and multiple canteens with North Indian/ South Indian / Multi cuisine food available. Hostellers are given gymnasium facilities and indoor/ outdoor gaming facilities. 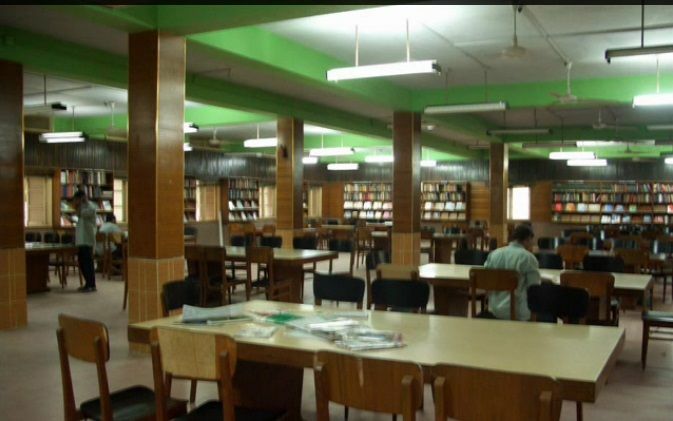 Students have access to an exhaustive Central Library with e-resources and scientific journals. There are smart classrooms and an auditorium to accommodate 4000 people. There are facilities for playing volley ball, basketball, cricket, badminton, tennis, kabaddi etc. Students can also participate in events such as- Jhalak, Khel, Cyclothon, Milan etc. The college provide great opportunity for students to excel in there career. Over all everything about the college is great except that it is traveled it is located amritsar from the city and the travel is an issue. The placement of the college are great. Over 50 companies came during the first day itself for placement. Package depends upon the students skills as well as their academic score. The gender ratio in the college is almost the same. There is a lot of diversity in the college. The infra of the college is good and a of greenery around. lots of sports played every sports is played there is co education. The infra of the college is outstanding and college sports a lot of emphasis on extra curricular activities and sports. There is no discrimination of any kind between the students. Exams takes place once a year before which there will be prelims and weekly tests were also done by some of the faculties. Examination are carried out on semester basis it included internal evaluation in between the semester by the faculty of concerned subject. I had done my first internship with TCS, the companies visit are Wipro, TCS, L&T construction they took good number of studens, last year 3400 students were placed in campus. Yes, there are opportunities for Scholarships and Loans. Scholarships are given based upon Merit, Caste and Sports wise the norms you can Find it on the Official website. Loans you can apply for Banks which you upto 50% of the Academic fees. Yes loans are provided by yes bank, city bank in campus scholarships are for meritious and poor etc. The college has a lot of students from various background thus it makes a lot of fun studying with best minds of the country. The placements are quite good for CS and IT branches but when it comes to non-computer branches placements in core company, it is quite difficult, but not impossible. The management also focuses on the overall development of the student. I am very satisfied with the college and would recommend it. For admission I was selected based on my SRMJEE score. I had around 3k rank so I was selected. I got my branch here so I selected this as this was the best option for me. The college fee is pretty expensive and I have paid around 2.4 lakhs per annum which way more than any other college charges. But also the facilties that are provided are in par with the fee charged as you get to study with the best minds of the country. 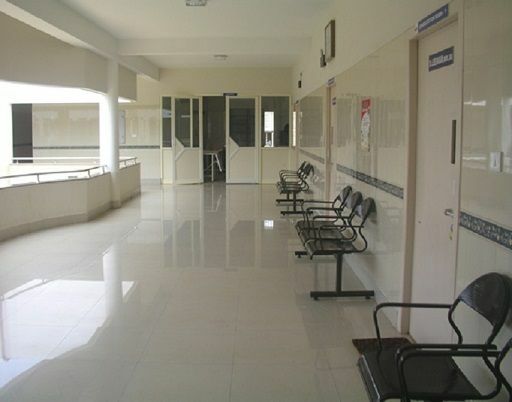 The hostel rooms are provided on sharing basis and students have the option to go for wither ac rooms or non ac rooms. In Non Ac common bathrooms are there while in AC rooms attached bathrooms will be there. Also it mandatory to pay both hostel and mess fee. The mess fee is very good. There is a association called SRM alumni association. It regularly organized alumni meet with students. My seniors were the best though it took me some time to interact with them but at the end they turned out great. They will guide you through what is right and what is wrong in our college. The faculties are well qualified everyone have PhD degree. Though few you are good at teaching. But in SRM we have a chance to select v the teachers. Be careful while choosing both the faculty and seniors..
Campus life is the best . Diversity in our college is great , students from various regions and religions are there in our college. The gender ratio was around 1:2 with boys on the higher side. There a lot of clubs in our college like music club, dance club, electronics club,robotics club . We can join any of them based on our interest . The exam and Labs were very frequent. There will be internal as well as external examinations. The weightage is for internal examination is 50% and national examination 50%. Therefore every exam is important for scoring good marks. Yes the college provides internships. A lot of companies inclusing Cisco ,Wipro,TCS,vestas etc., Provides internships to the students .The average stipend is around Rs 5-20k per month. And these internships can even be converted into permanent jobs. Also a program called SAP(semester abroad program) in which you can do one of your semester in some top universities in abroad with some extra fee. I would not recommend this college for students who do not want to pursue CS. For students interested in this stream the college is great for others its not. I got admitted into the college based on my JEE score. I had score 125 marks in my Jee mains exam and then applied for to this university and got admitted. I applied offline i.e I went to university and took admission. The university also provides some seats through the management quota. The fee of the college is way more considering the status of the college. Students can get educated in well renowned and popular colleges in what this this college charges. The fee is very overrated. The placement for courses like CS are great. Almost 30 companies came in the placement season to recruit students from this branch. Even I got selected for 2 companies. The placement for the mechanical and other branches is pretty bad. A total of I think just 5-6 companies came for them. So if you want to pursue computer science as an engineering branch the college is good. The college provides hostel as per your score and if you do not maintain the required score you will be asked to leave the hostel and then you have to find your own accommodation. The food of the hostel is really bad. Also, the fee for the hostel is around 1.2 lakhs, which is pretty expensive. The college has a alumni meet. Reputed alumnis are called for guest lectures and speeches. They also share their past experiences. The faculty is ok but not that great. The teaching methods are just enough to pass through the exams. Most of them have qualifications but lack the expeience. The gender ration of the college is around 1:3 i.e 1 girl and 3 boys, which is pretty decent. The college is famous for its extracurricular activities. There are various cultural and technical events happening through out the year. There is also a sports fest. Like any other engineering college you will have internal and external exams which include mid and end semester exams. Though the rules regarding he examination and passing keep on changing. I do not have much info about the internships as I never went for one. But the college does provide stipend-free internships. Some of my friends did get internship but that was on their own they even got some stipend that way. The college provides scholarships but only to those who have scored very good marks on JEE Mains. Loans are also provided by the college.